At a time of political upheaval, as the West radicalises and we hear once again the forgotten whispers of Europe’s nationalists and reactionaries, Joël Pommerat plunges back into the history of the French Revolution. Steering clear of historical revisionism or hero worship, he focuses instead on the vibrancy of intellectual debate, the dynamics that compel men and women to take action to defend their convictions. 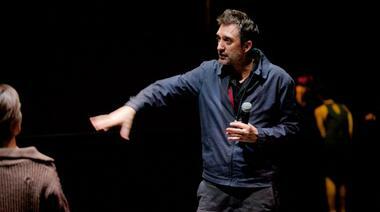 The French author and director premières his new work in its only performances in Belgium in 2015. An event!